Look! Work boots manufactured just for women, with all the standard safety features required for a hard working woman like yourself. So, if you're one of those women who take the tough jobs, such as foreman, lineman, electrician, or any other dangerous, dirty job, ... (see full details) (see specifications) #TMBTB026388210. Look! Work boots manufactured just for women, with all the standard safety features required for a hard working woman like yourself. 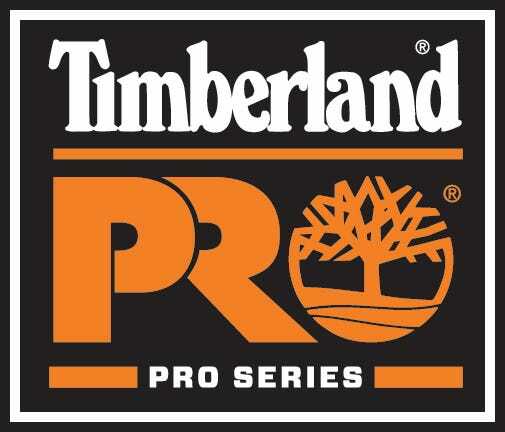 So, if you're one of those women who take the tough jobs, such as foreman, lineman, electrician, or any other dangerous, dirty job, check out these Timberland PRO Women's TiTAN 26388 Brown Alloy Toe Boots for a little extra advantage over your male counterparts. In addition to the safety of an alloy toe and electrical hazard rating plus the TiTAN lightweight safety toe cap for protection, you also get a comfortable pair of work boots. The 6-Inch premium full grain leather upper on these brown boots is made for maximum comfort when you are on the go. The nylon diffusion shank and polyurethane midsoles with shock-absorbing, high-rebound heel insert offer durability and cushion where you need it most. The Outlast Adaptive Comfort footbed regulates your foot's temperature to keep you cool instead of sweaty and squishy. The antimicrobial, contoured open-cell polyurethane footbed allows more airflow to your feet keeping away the smell and bacteria that can infect feet while also conforming to the contour of your unique foot for greater comfort and maximum performance. The mesh lining is also treated with an antimicrobial coating for even more odor control and comfort. The rubber outsoles on this antimicrobial footwear are abrasion-, oil-, and slip-resistant so that you can stay on your feet even in dangerous work environments. The PowerFit Comfort System was used in the construction of this workwear, which uses ergonomically designed elements to provide support and ensure these safety toe boots provide long-lasting comfort. These slip-resistant boots also come with Timberland PRO's 30-Day Comfort Guarantee. Show those men what you're made of. Wear a pair of Timberland PRO TiTAN 26388 Brown Alloy Toe Women's Work Boots to every job site and take advantage of the safety and comfort features that will help you be the best Working Woman you can be. Order your pair online from the Working Person's Store today. I would highly recommend these boots to anyone, especially those with foot problems. They are the BEST boots I've ever owned and I've been thru 3 other brands in the past 3 months searching for comfort as well as safety. There was no break-in, just comfort from the first day. I added a memory insole for just a little more cushion and they are perfect for me. It seems like the weight distribution is more on the heel and not the ball of the foot which is exactly what I needed. They are very light and the leather is soft, which gives more for the foot movement. With these, you won't have to change your shoes as soon as you walk in the door from working all day! Next, I'm getting a pair of the men's version for my husband and a 2nd pair for myself. Nothing to lose with a 30 day guarantee!! They are GREAT! The Timberland Titan Pro is certainly the most comfortable boot that I have had the opportunity to wear during my 25 years in the construction industry. I wear them 7 days a week, often for up to 16 hours a day. Not a day of foot pain since I started wearing these boots about 8 years ago. The bottom tread falls off before the leather or boot interior fails. Walk all day on a cement floor at work. Tried four different shoes, even the real expsensive kind and none of the worked until I tried this boot. HIGHLY recommend...very comfortable. I've had 2 pair of these boots and I highly recommend them to anyone who is their feet for long hours. They are light, comfortable and come broken in. The only bad thing I can say is the sole starts coming apart after a lot of exposure to oil or diesel fuel. Still the best boot out there. Timberland PRO Boots: Women's TiTAN 26388 Brown Alloy Toe Work Boots is being added to your cart.